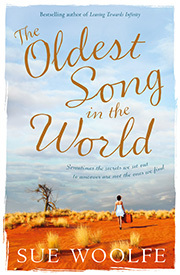 I’m back in Australia, with my new novel, “The Oldest Song in the World”, about to come out both in print and e in Australia and New Zealand with Harper Collins, who continue to be generous and patient with me, although I fear I’ve tested them at least once, getting muddled about dates of giving talks, perhaps more than once. And today we’ve been told that the portal is nearly ready. We’re about to write to all the authors who replied to our advertisement in March last year – so long ago! What a year! telling them that very soon they’ll be able to send their books to India for conversion, and then use the portal to market their books, and to connect with readers. “How are you making money from this?” a sensible friend asks me. I have to admit that we haven’t thought of that. What we long to do is to improve the lot of Australian authors. That seem a big enough task, without having to think of how to make money.